Today, I'm going to talk to you GMs about how to turn 5th edition D&D (5e)'s mid- and high-level gold surplus into a plot driving engine that will give you more campaign writing inspiration than you will ever need. And all this without changing the rules! 5e is unlike 3rd and 4th edition, in that it does not let player characters buy magic items (or craft them with their gold). Technically, the DMG has prices for magic items, but it strongly discourages the "ye olde magic item shoppe" that ran rampant in those editions. So 5e asks DMs and players to decide as a group what wealth means in the campaign. Unfortunately, it doesn't make this an explicit instruction. In the 5e Dungeon Master's Guide, there are examples of things a player character can buy with large amounts of gold, such as an abbey, a fortress, a farm, etc. James Introcaso has even expanded on this list, adding magical traps and other cool items. This isn't unlike first edition AD&D or Basic D&D, where PCs acquired a stronghold at level 9. In fact, in 5e, 9th level is about the time a PC can afford to start investing excess gold in construction and real estate. The best use of strongholds is for players to use them as expressions of their interests in where the plot of the campaign should go. A fighter who acquired a fortress on the border of the orclands expressed an interest in driving the orc hordes back and clearing space for civilization so she could build her own barony. A fighter who built a hidden fortress for a rebel army near the capital city was expressing an interest in conspiring against the tyrant king and eventually seizing the throne. The details of the stronghold the players invested their gold in became plot hooks. With the exception of 3rd and 4th edition D&D, around 9th level and later, gold has always primarily been about investing in plot hooks that tell the Dungeon Master where to take the campaign. In that way, 5th edition is more loyal to the traditional D&D experience than 3rd and 4th edition. And, frankly, though I still play Pathfinder and 4e, I prefer the 5e approach to using gold. I find it more fun to have a campaign about player characters fighting for gold to invest in their plot hooks than a campaign about player characters fighting for gold to invest in their personal power (i.e. more magic items). I've even created a system for Pathfinder to help Pathfinder GMs who agree with that sentiment. 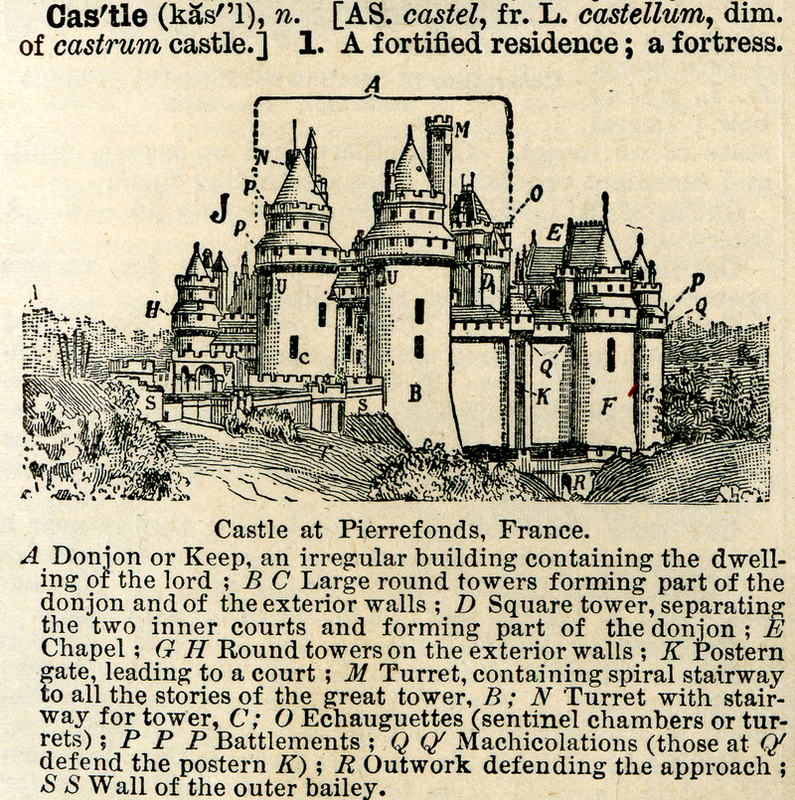 In 5th edition, like 1e, the relationship between acquiring a stronghold and expressing an interest in the direction of the story in D&D was not clear or explicit. A 1e or 5e player has the option to build a stronghold (or not), and if they build one, they have the option to flesh it out (or not). If they decide to flesh it out, there is no guidance for how to flesh it out. They can draw pictures of it, map out every room and corridor, write a twenty page manuscript about its history, or a hundred other things. Now, if the players enjoy those things, great. Let's not discourage that. Wealth buys more than just a stronghold. A stronghold owned by an adventurer has to have a trusted castellan to watch over it while the adventurer is off delving dungeons. A stronghold serves a purpose - fortresses guard territory, towers engage in magical research, wizard colleges found schools of sorcery, thieves' guilds regulate criminal enterprise, underground railroads help free slaves, hidden abbeys study religious mysteries, churches heal the sick and feed the hungry, missions spread the faith, and assassins' guilds topple tyrannies. Adelson has invested his wealth in protecting and advancing the interests of a small nation beset by enemies. This un-nuanced portrayal of the nation of Israel fits nicely with an epic fantasy narrative. Gaga created an organization that stands up for people who are bullied and abandoned. I can imagine her working to protect the kender or half orcs, or an untouchable caste. Other famous wealthy people have supported all kinds of missions: Charitable religions (Bono), centers of learning and art (Vanderbilt), criminal networks (Pablo Escobar), exploration (Raleigh) or training young [technical] wizards (Gates). A stronghold is more than just the a place. It's the center of a movement that -- with enough money and a visionary leader -- can change the world. 100,000gp buys an organization - a small kingdom, large duchy, powerful abbey, religious order, wizard college, order of dragon slayers, gold dragon hatchery, arcane order, spy network, thieves' guild, international circle of druids, international resistance movement, college of bards, missionary organization, holy order of knights, etc. But 100,000gp is a long way off for most PCs. Still, you need something for the PCs to spend their money on. Just one tenth of that wealth, even in platinum pieces, weighs 20lbs -- and you might have twice that by level 10! You have to do something with that money or you'll develop back problems! So below you will find a way to gradually invest in an organization. A character should be able to start investing as early as level 5 or 6 -- around the time they start getting more money than they can spend on armor, ale and rations. The system that follows is not exactly a house rule. It's just something you can buy in 5e D&D. When you begin to build an organization, you start investing money into operations. The first investment costs 1,000gp, but the prices go up from there. Here's a sheet to track your organization on. Recruit the first Personage to help run the organization. This personage is loyal to the organization unto death. Construct the Stronghold at your Center of Power. This stronghold cannot be taken until all other strongholds in the organization have fallen. Mission: The organization has a broad mission statement. A small kingdom's mission statement might be "Prosperity and peace for the people of Small Kingdom." An international resistance movement could be founded to "Bring death to tyrants." The organization's mission never changes unless the world changes around it in major ways. Opposition: The organization has an implacable opponent - some force that represents the opposition to your mission. This can be a particular villain, a god that represents a concept opposed to the mission (e.g. an organization dedicated to healing the sick could be opposed by the plague god), or a type of monster (e.g. dopplegangers oppose my spy agency, since we root out their agents; demons and demon worshippers oppose my organization because it's an organization of witch hunters). Three Goals: The organization also has three goals, also set by the player character who founded it. Its goals can change from month to month during the campaign at the player's character's orders. Each goal is specific and discrete. Don't say your goal is to "End the influence of evil in Small Kingdom." Instead say, "Identify and remove the corrupt nobles in Small Kingdom." Personage: Until you've invested 100,000gp, your organization can have up to four powerful NPCs supporting it. After reaching 100,000gp, you can have up to five Personages. The PC in charge is the President, but these NPCs are the executive management team. In a wizard's college, you might have the Dean, who is in charge of the teachers, the Provost who is in charge of recruiting and disciplining students, and the Librarian who oversees acquiring and curating the magical books for the school. The first Personage you recruit has the additional benefit of being Totally Loyal. This NPC will die before betraying you; and it will be very hard to kill this NPC. The others you recruit are very loyal, but the Opposition might still find a way to corrupt them. Each Personage has a Name, at least one Personality Trait (like a PC), and something they're good at. What they're good at should not be written in game terms -- it's just a statement about the character. For instance, your wizard Provost might be good at "recruiting talented students" or "keeping the students calm and productive." Stronghold: Your strongholds literally cement your influence. Strongholds don't have to be stone fortresses. They can be secret assassin training camps or floating islands on the plane of air or elemental airships that fly around the world. The first Stronghold you construct is your Center of Power. All other Strongholds you build have to be corrupted, undermined, destroyed or captured before your Center of Power can be taken from you. Name each stronghold, then decide what its Purpose is and where it is Located. The stronghold's Purpose should be something that contributes to your mission or goals, or serves to support the organization itself. For instance, the Wizard's College's purpose is "to train new wizards according to the rules and ethics I have set forth." 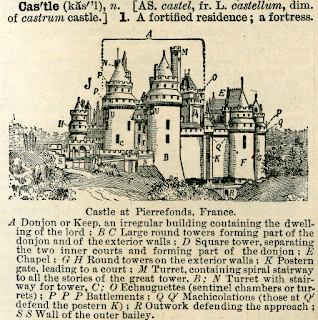 Castle Small Kingdom's purpose is "to defend the lands around the capital of Small Kingdom." Later the wizard's college might acquire a Magical Library, the purpose of which is "to collect rare and powerful tomes of arcane knowledge." Until you've invested 100,000gp, you can have up to four Strongholds. After reaching 100,000gp, you can have up to five Strongholds. After 100,000gp, every 50,000gp of additional investment can buy a new stronghold in a new location or recruit a new NPC. Recruiting a new guaranteed-loyal NPC requires undertaking a quest to secure their loyalty, though the quest can be done after recruiting them. Each new NPC comes with a staff of followers and can advance a new organizational goal, letting the PC add a fourth (or more) goal to the list. Why does it cost 50,000gp instead of 20,000gp? Even with magic, medieval organizations have limited means of communication and organization. They don't have email and webinars. They have horse couriers and sailing ships. As an organization grows, it becomes more expensive for it to grow. Each new element has to be connected to all the previous elements, and with medieval technology, that grows difficult quickly. There's no need to worry about upkeep costs. The organization takes care of itself. As you adventure, you invest in the organization gradually. The cash you invest pays for an expansion of its earned income investments like productive lands, business operations, fees, and fundraising. Without your investment, your organization wouldn't grow very quickly, if at all, but it could remain stable for generations -- at least until it was overwhelmed by its enemies. Your investments help the organization grow by leaps and bounds. Example: The dwarf fighter invests 20,000gp into his Barony, acquiring a new Stronghold. He decides that he wants to acquire an iron mine and foundry to supply iron for his army as his second stronghold. The investment represents mineral exploration and construction of the main mine shaft. The mine can produce iron, which can be sold to pay miners' salaries, hire carters, maintain the mine road, and reinforce the tunnels. PCs can run multiple organizations. However, the DM should limit this a little. A PC can start a new organization only after all his or her other organizations have both a Personage and a Center of Power (20,000gp investment). Presumably a 20th level PC with around 800,000gp can afford to have five to ten fully-constructed (100,000gp invested) organizations, or two or three "maxed out" organizations (with the maximum 5 Personages and 5 Strongholds -- 300,000gp invested each). It's probably a good idea to cap your PCs at two organizations plus their Charisma modifier. The PC cannot liquidate the organization for the same reason they don't have to pay upkeep costs: The organization is self-sustaining. It has incomes and debts, and the Personages that run it are personally invested in its continuation. If the PC tried to sell off his organization, those NPCs would see it as a betrayal of their mission, and take the resources of the organization (which they already control) into their own hands. This might result in an (expensive) conflict between the PC and the NPCs in the organization, and be a plot in its own right. The PC will probably defeat the NPCs -- after all, going into dangerous places, killing things, and taking their stuff is what PCs are good at. In the end, the PC will not recover more wealth from the organization than he or she might get defeating the same number of monsters in the same number of dungeons. Two or more PCs can invest in a single organization. Say there's an Oath of Devotion Paladin and a Healing Domain Cleric in the party, and they want to start a missionary order to convert people to the god who they both worship. That would be fine. Ask the players how the two of them will settle disagreements, if they arise. What if the Paladin wants to recruit a knight commander personage to train new paladins and the cleric wants to recruit a religious oracle to study prophecy and omens? If they don't have a good answer, it's up to you: Is this the sort of campaign where characters turn on one another in feud? If so, you might want to push things toward an intra-party conflict. Typical D&D games are usually not that sort of campaign, though, so think carefully about doing that if it comes up, and try to gauge your players' interest in intra-party conflict. A common complaint about one-size-fits-all options like this is that every PC will have exactly the same thing. While technically it's likely that every 11th level PC can afford a 20,000gp investment, and therefore have exactly one Personage and one Stronghold, I doubt that they will look anything alike. A Chaotic Good Assassin Rogue with the "chains are meant to be broken" ideal will have a vastly different organization than a Lawful Good Oath of Devotion Paladin with the "my honor is my life" bond. The Neutral Abjurer Wizard and Neutral Good Healing Cleric will have different organizations, too. And by high levels, PCs can have any number of organizations alone, or shared with other PCs. The GM gets to use each PC's organization to draw them into adventures. This isn't railroading -- the players designed these organizations, so adventures that revolve around threats to or opportunities for these organizations are essentially guided by the players' wishes. That's the beauty of plot hooks. By using opportunities and threats involving things the PCs care about, you motivate the players without running a campaign on rails. The players chose their hooks; the GM is merely activating them. In this case, organization hooks are literally player agency. Multiply this times 5 PCs in the party, and you will never want for plot hooks again! Consider this: By the time the players' characters can afford investing in an organization, they'll already be deep into your campaign plot. If you've been doing a fair job, it's likely that some of their organizations' Missions and Goals will be related to the goals of your campaign premise. It's likely that some of their Opposition choices will match the antagonists in your campaign. This option lets your players literally invest in your plot. What if the players don't? What if the players build organizations that have nothing to do with your campaign plot? There are a few possibilities. First, they may be building an organization to give them additional personal power they can employ in the campaign plot. I had a player construct a spy organization in one of my games, unrelated to the main plot; but he used it to gather information on the plot's villains. Second, they may not actually be that interested in the main plot. Talk to them about it. Up until now, I've only provided something PCs can buy - not a house rule. Here's a house rule to take Organizations up to a new level. In 13th Age, the d20-based fantasy RPG by designers from 3rd and 4th edition D&D, there are Icons -- powerful forces in the world -- with whom the PCs have pre-existing relationships. For instance, they might be enemies with the Elf Queen. These relationships are a great tool to help GMs improvise when the PCs hare off into unexpected territory. add a lot of depth to dramatic events, and continue to spotlight player character backgrounds every session. Icon Relationships in 13th Age also help GMs improvise, so if you don't have a lot of time to prep, or have a more improvisational style anyway, this could be helpful for your D&D game. Roll 2d6 for one of your organizations and 2d6 for its opposition. Sometimes the player chooses which organization (say, at the start of the session). Sometimes the GM chooses which (say, in a dramatic moment where it's clear which organization is relevant). If a die comes up 5 or 6, something will happen that gives you a meaningful advantage in the coming adventure because of your organization or its opposition. But if it's a 5, a complication also arises. If you roll two 5s or 6s, the benefit is mutual -- you benefit (and may suffer a complication as well), and so does your organization (or your opposition suffers). If you're familiar with 13th Age, it's like having a 2-point positive relationship with your own mission and a 2-point negative relationship with your organization's opposition. See more rules for icon relationships here.